This outstanding example of a 2007 Ford Econoline Cargo Van Commercial is offered by Fam Vans Inc. Surprising quality accompanied by a high level of performance...this Oxford White Clearcoat on Medium Flint Ford Econoline Cargo Van Commercial could end up being the perfect match for you. This is the one. Just what you've been looking for. There is no reason why you shouldn't buy this Ford Econoline Cargo Van Commercial. It is incomparable for the price and quality. Driven by many, but adored by more, the Ford Econoline Cargo Van Commercial is a perfect addition to any home. CNG Fuel Here at FAM Vans we have over 350 vans and trucks in stock at any given time, plus we get fresh inventory every month. We can modify any vehicle to fit your needs or find the right one that fits your budget! Full Parts and Service departments. This 2011 Ford Econoline Cargo Van Commercial is proudly offered by Fam Vans Inc Just what you've been looking for. With quality in mind, this vehicle is the perfect addition to take home. 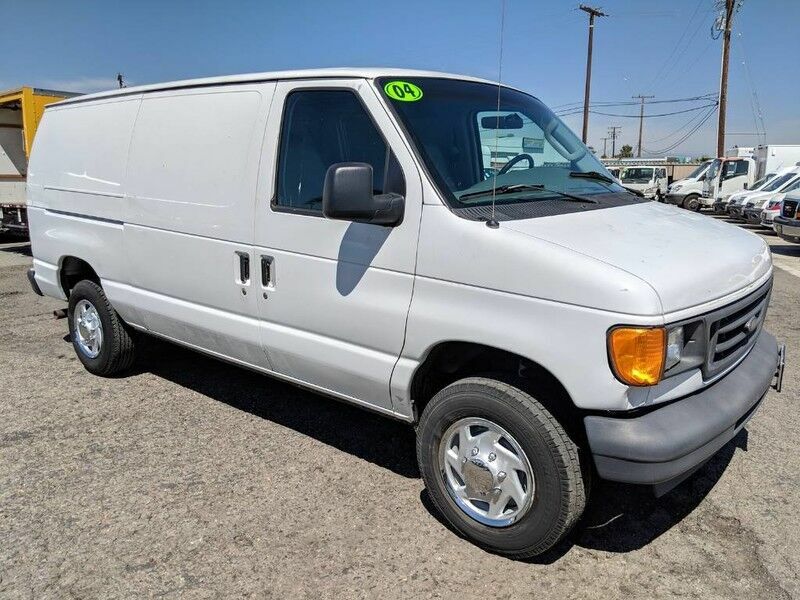 Based on the superb condition of this vehicle, along with the options and color, this Ford Econoline Cargo Van Commercial is sure to sell fast. This is about the time when you're saying it is too good to be true, and let us be the one's to tell you, it is absolutely true. Driven by many, but adored by more, the Ford Econoline Cargo Van Commercial is a perfect addition to any home. Fam Vans Inc has a wide selection of exceptional pre-owned vehicles to choose from, including this 2011 Ford Econoline Cargo Van. One of the best things about this Ford Econoline Cargo Van is that it has low, low mileage. It's ready for you to truly break it in. This is the one. Just what you've been looking for. Driven by many, but adored by more, the Ford Econoline Cargo Van Commercial is a perfect addition to any home. The Ford Econoline Cargo Van Commercial will provide you with everything you have always wanted in a car -- Quality, Reliability, and Character. This outstanding example of a 2011 Ford E-150 Cargo Van is offered by Fam Vans Inc. In addition to being well-cared for, this Ford E-150 has very low mileage making it a rare find. You can finally stop searching... You've found the one you've been looking for. The quintessential Ford -- This Ford E-150 Cargo Van speaks volumes about its owner, about uncompromising individuality, a passion for driving and standards far above the ordinary. There is no reason why you shouldn't buy this Ford E-150 Cargo Van. It is incomparable for the price and quality. Check out this gently-used 2012 Ford Econoline Cargo Van we recently got in. Driven by many, but adored by more, the Ford Econoline Cargo Van Super Duty Commercial is a perfect addition to any home. Surprising quality accompanied by a high level of performance...this Oxford White on Medium Flint Ford Econoline Cargo Van Super Duty Commercial could end up being the perfect match for you. This is about the time when you're saying it is too good to be true, and let us be the one's to tell you, it is absolutely true. This vehicle won't last long, take it home today. We can customize this van with Accessories. Want to add shelves or a ladder rack?Want to add a divider?Want solid doors or security locks? FAM Vans can customize this vehicle to suit your needs. Just ask your sales representative for pricing and options available. Fam Vans Inc has a wide selection of exceptional pre-owned vehicles to choose from, including this 2012 Ford Econoline Cargo Van. This Oxford White Ford is clean and shiny exterior makes it look like it came straight from the factory. You could keep looking, but why? You've found the perfect vehicle right here. You can finally stop searching... You've found the one you've been looking for. Driven by many, but adored by more, the Ford Econoline Cargo Van Super Duty Commercial is a perfect addition to any home. This 2013 Ford Econoline Cargo Van Commercial is proudly offered by Fam Vans Inc This is the one. Just what you've been looking for. There is no reason why you shouldn't buy this Ford Econoline Cargo Van Commercial. It is incomparable for the price and quality. Driven by many, but adored by more, the Ford Econoline Cargo Van Commercial is a perfect addition to any home. Just what you've been looking for. With quality in mind, this vehicle is the perfect addition to take home. Check out this gently-used 2013 Ford Econoline Cargo Van we recently got in. In addition to being well-cared for, this Ford Econoline Cargo Van has very low mileage making it a rare find. There are many vehicles on the market but if you are looking for a vehicle that will perform as good as it looks then this Ford Econoline Cargo Van Commercial is the one! You can finally stop searching... You've found the one you've been looking for. You could keep looking, but why? You've found the perfect vehicle right here.